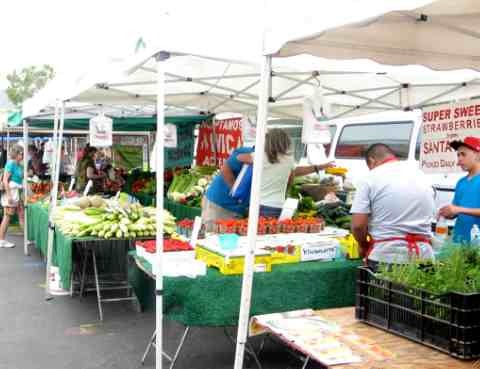 Visit a San Diego Farmers Market for fresh produce and locally grown foods at great prices. I love visiting a local farmers market in San Diego county. Where else can you get such a fabulous collection of fresh produce, plants and yummy food. 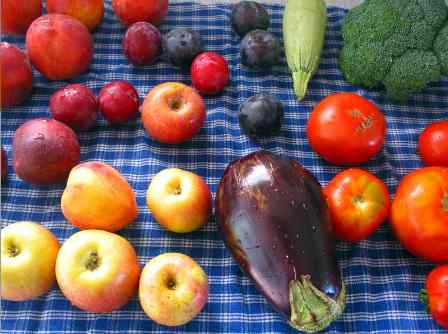 Choose some seasonal fruits and vegetables, plants and interesting food to eat at the farmers market or bring home. Arrive early for best selection, and don't forget to bring reusable bags and even a cart if you plan to buy a lot. Bring the family. Most farmers markets are kid friendly, but please leave the dogs at home, as no dogs are allowed. Bring cash. Most vendors accept cash only, so stop by the ATM before you arrive. Enjoy the savings. If you arrive late in the day, you may miss out on some items, but you may also get special deals at the end of the day. We hope you enjoy your visit to your local San Diego farmers market! 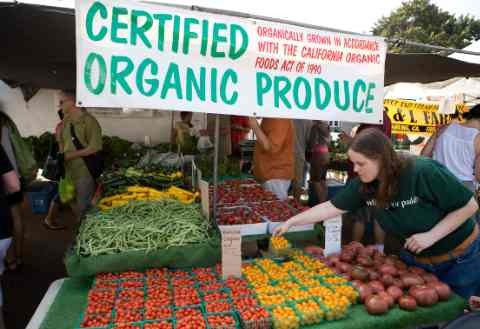 The San Diego farmers market in Hillcrest is rated the best farmers market in San Diego. It offers over 125 vendors with a nice variety of locally grown fruit and produce, many of them organic. You can enjoy a meal or snack, buy gifts and flowers, and do arts and craft activities with the kids. Check out the calendar of events on their website. Operating Hours: The Hillcrest farmers market is open every Sunday from 9 AM to 2 PM, rain or shine. Official website: Get more information about San Diego Farmers Market Hillcrest at their website www.hillcrestfarmersmarket.com. 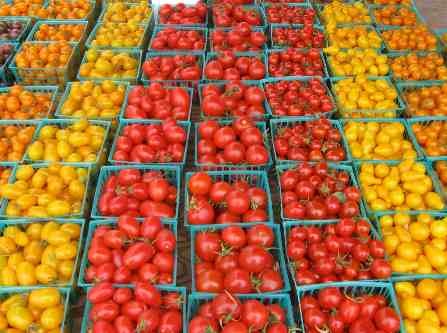 Here is a list of San Diego farmers markets. Please note some markets occasionally change their dates and times, but this is based upon our most recent research. The San Diego Farm Bureau offers information about local SD produce, farm stands, and farmers markets in San Diego county. What a wonderful way to go green and support your local farmers. For more information about the San Diego Farm Bureau see www.sdfarmbureau.org.